INTERTANKO (the International Association of Independent Tanker Owners) is a trade association that has served as the voice for independent tanker owners since 1970, representing the interests of its Members at national, regional and international levels. The organisation champions an industry dedicated to support global energy networks by delivering safe, efficient and environmentally sound transport services. INTERTANKO actively works on a wide range of operational, technical, legal and commercial issues affecting tanker owners and operators around the world. It draws on regular and direct contact with its Members and other industry stakeholders to develop and disseminate information and best practice, essential to the tanker industry. Membership benefits include representation at all key industry forums by a large, respected industry body, easy access to guidance and advice, as well as networking opportunities with fellow Members and industry peers through the extensive network of Associate Members and other industry stakeholders. As INTERTANKO is a Member-run, direct entry organisation, its strength lies in developing policies that are immediately relevant and beneficial to Members. INTERTANKO works closely with its industry counterparts including the Oil Companies International Marine Forum (OCIMF), Chemical Distribution Institute (CDI), Society of International Gas Tanker and Terminal Operators (SIGTTO), International Association of Class Societies (IACS), International Group of P&I Clubs, the Port State Control MoUs, US Coast Guard, European Commission and many others. A recognised Non-Governmental Organisation (NGO), it has, among others, observer status at the International Maritime Organisation (IMO), the United Nations Conference on Trade and Development (UNCTAD) and the International Oil Pollution Compensation Funds (IOPC), contributing actively to their work. Through this engagement, Members have the possibility to influence strategically important developments at the highest level. There is deep concern that the current tanker market rates are consistently below operating costs. This could threaten the sustainability, even the very survivability, of the oil transportation industry. This situation, where tanker owners are not even covering their operating costs, cannot be sustained in the longer term. Standards must be maintained at the highest levels in order to operate in today’s demanding markets, but in continuing to do that, some operators may hit a financial wall. Energy Efficiency Design Index (EEDI) requirements should apply equally to all new ships on the same applicable effective date. Compliance with EEDI should focus on improved hull design, propulsion efficiency and energy optimisation. INTERTANKO believes that a market-based mechanism (MBM) is not justified at this time. If an MBM should be required, of the current MBM proposals, the GHG Fund seems to be the simplest and most transparent from a shipowner’s point of view. It is crucial that ship operators follow the three main elements of BMP4 for ships going through the Gulf of Aden and Indian Ocean: register with the Maritime Security Centre – Horn of Africa (MSCHOA); report to the UK Maritime Trade Organisation (UKMTO); and employ the appropriate self-protection measures. It is the responsibility of the international navies to ensure the right of free passage on the high seas including the use of vessel protection detachments (VPDs) on merchant ships. INTERTANKO does not advocate the arming of ships’ crews. The use of private armed guards or government armed security forces onboard merchant ships has to be a matter for each individual owner or manager to assess as part of their voyage risk assessment. If armed guards are to be used, the Flag State should be consulted to determine the conditions for authorisation and the IMO guidelines for shipowners contained in MSC.1/Circ.1405 and for Flag States contained in MSC.1/Circ.1406 should be taken into account. The decision to deploy a citadel, or not, should take into account all known factors and be based on risk assessment. If a citadel is to be employed, the industry guidance on the use of citadels should be taken into account. This guidance is available on the MSCHOA website. 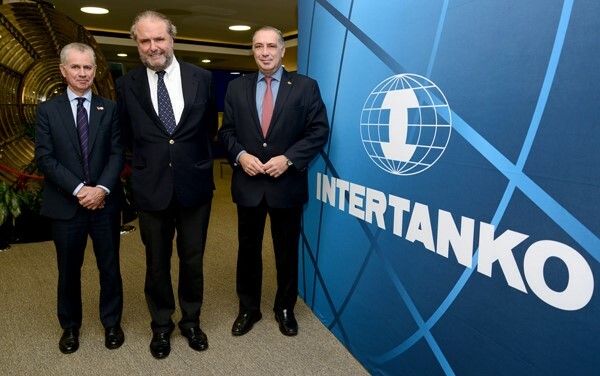 INTERTANKO has been the voice of independent tanker owners since 1970, championing an industry dedicated to support global energy networks by delivering safe, efficient and environmentally sound transport services. Throughout its history, the Association has continuously adapted to the needs and demands of its Members, seeking to add value to their operations and act as a conduit for information exchange and the development of policy and best practice. Much of the work continues to be focussed on addressing the significant regulatory challenges Owners are grappling with. From ballast water treatment to fuel oil sulphur levels and greenhouse gas related climate change, the number of critically important and highly complex environmental issues continues to grow. Equally importantly, crucial performance, safety and human element-related work is being pushed forward to advance best practice for the tanker sector; and on the commercially focussed side, issues surrounding the legal, documentary and insurance aspects of Members’ operations are being addressed. INTERTANKO, through its many specialised Committees, Panels and events, is in the enviable position of being able to engender real peer-to-peer dialogue and develop proposed solutions that have been assisting Owners and other stakeholders to better manage their parts of our industry. Without your input and active engagement this would not be possible. INTERTANKO organises a wide range of events and opportunities for engagement and exchange throughout the year. The Annual Tanker Event, where the latest issues affecting the industry are debated by tanker owners and leading decision makers, is widely regarded as the key industry gathering for high-level networking and dialogue. Seminars and workshops provide Members with further opportunities for peer-to-peer exchange. Given the dynamic nature of the tanker shipping industry and the pressures of working realities, every effort is made to ensure that the right issues are discussed by the right people, at the right time and in a convenient place. The Association also holds twice-yearly meetings for its five Regional Panels in Asia, Europe, North as well as Latin America and the Mediterranean region. These Panels provide the wider Membership with the opportunity to get updated on key issues, discuss items from a regional perspective and contribute to the development fof the Association's policies on issues that are on the Agenda for the Council, the Association’s elected policy-setting body. Subject matter experts from Member and Associate Member companies participate in specialist working Committees and Sub-Committees to discuss and formulate policies and best practices which help shape the tanker industry. Supported by designated members of the Secretariat, these Committees support all the work that is carried out by the Association and which is put forward before the Council for development of policy. A crucial role for the Association is to leverage the formidable experience and expertise of Members and Associate Members in the diverse specific areas of tanker ownership and operations. 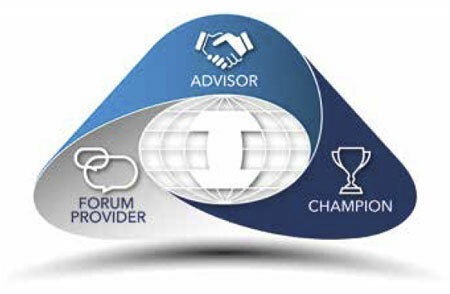 INTERTANKO can be distinguished from other Associations through its experienced Secretariat staff and their professional networks, which gives it an unrivalled resource of specialist tanker knowledge, connections and relationships and keeps it ahead of the changes and challenges that are continuously being introduced by regulators and other stakeholders. INTERTANKO Members and Associate Members rely on expert advice from the Association on anything from international regulations to charterparty questions, operational issues to best practice guidance. Where necessary, the Secretariat channel requests for assistance to the specialists outside the Association to obtain the best informed views and advice. Members and Associate Members also have access to direct expert opinion from experienced lawyers, mariners, naval architects, marine engineers, economists and other specialists who are working with, or known to, INTERTANKO. assistance when ships are detained by ports state control authorities - minimising the effect of a detention or assisting in proving the case for removal of the detention. Added-value, proprietary information and benchmarking tools are available exclusively to Members to support their day-to-day operations and requirements. INTERTANKO commissions specific research and analysis to support issues of concern to Members for use at the International Maritime Organization (IMO), with national authorities or other organisations. Free workshops and seminars on issues of interest to Members are also an integral part of the Association’s information services and these are organised throughout the year in shipping hubs around the world. INTERTANKO Publications have long established their value in the shipping community and are held in high esteem throughout the industry. Members and Associate Members are entitled to a 50% discount off the price of all INTERTANKO titles. INTERTANKO and its Secretariat strive to build and maintain strong working relationships with legislators and other key stakeholders, with the trust and respect that this requires. The primary aim is to ensure that Members’ concerns are heard, supported by business and operational logic and acted upon during the development of regulations for all aspects of tanker design, construction, operation and decommissioning of ships and equipment. The Association’s aim is to ensure fair outcomes for all parties, based on common sense and on what is workable in practice. Specialists within the Secretariat manage a wide-ranging work programme of strategic issues in order to support Members’ performance with focus on five main areas: Safety, Human Elelment, Environment, Operations and Sustainability.